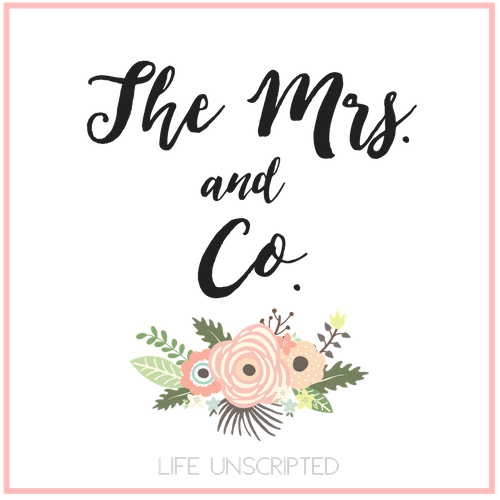 LuLaRoe Love - The Mrs. & Co. I don't know about you, but I am always looking for clothes that'll fit my momiform. Ya know. Something comfortable, something quick to throw on, and something that looks cute. My cousin Kelsey sells LuLaRoe and she sent me some of their adorable pieces and can I just say, yum. Yes yum. They are so soft, so comfortable, and I get compliments all day long. So if you are looking for some new staples to your closet, check this brand out. They carry limited quantities of the patterns and sizes so you don't see the same clothes everywhere. They truly are one of a kind pieces. They have tons of patterns and tons of options. My favorite shirt is the Randy. Feels like butter. I kid you not. So soft, not thick, so I can wear during the summer. Dress it down with jean shorts and converse or dress it up with skinny jeans and wedges. For reference, I'm wearing a medium. They also carry adorable leggings. Remember how the Randy shirt felt like butter? So do the leggings. They have TONS of patterns to choose from. The leggings are one size fits all. The top I'm wearing is the classic T. You can pair it with leggings or jeans shorts. I love wearing a lace bra underneath so that it barely peeks through. Adds a fun touch! I'm wearing a medium here. The last piece is named Irma. They fit very big. I'm wearing an XS small here. I could have done a small in the arms, but it would have been too big every where else. I love pairing it with a nice vest. I wore it to Raegan's first day of school. Which brings me to my next point. All the pictures I posted of the pieces are of me in every day life. I didn't plan a photoshoot to show them off because I wanted to show you how versatile they are and how easily they fit into my wardrobe. This is real. This is how I dress every day. This brand is a wear every day brand and that's what I love about it! If you're interested in seeing some more pieces, head over to Kelsey's Facebook page. You can join and see all the great items she has for sale. I know she just got a shipment in and she told me it's her favorite yet! I feel so in love last year and am waiting to join (hopefully any day!!) it's all the BEST. these look so cute on you! Love LuLaRoe!!!! I have two shirts and five leggings and... yeah. I could wear it all day, every day. Thanks Ashley! You look adorable in them. Love the vest paired with the irma! On the blog there is someone who was a former teacher but now stays at home and busy with her personal life. I must say that online academic essay writing has a good impact on people’s life. She is sharing her love for clothes and said that she always find happiness in buying new stuff when It comes to clothing.